Leaking is a common problem for many breastfeeding women. 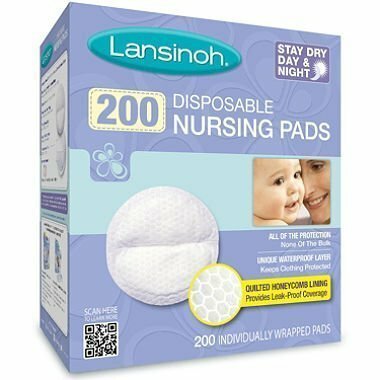 Lansinoh Disposable Nursing Pads can help you avoid these embarrassing leaks with an ultra-slim and light-weight design. Because of their special contour and non-slip adhesive tape, the pads stay in place, are discreet under clothing, and maintain their form and smooth shape even with heavy flow. Lansinoh breastfeeding pads come in a two pack of 100, for a total count of 200 pads.